There are many vulnerable people in society who require partial or round-the-clock care. Working in the social care profession is unquestionably hard work, with many carers dealing with concerns that most people wouldn’t like to contemplate. But social care can also be extremely rewarding. This is because a good carer can make all the difference to someone’s quality of life. Social care includes working with both young and old people, as well as those with physical or mental disability. Your personal and professional skills and strengths will undoubtedly decide which demographic you would like to work with, as carers can provide both physical and emotional support for many people. So the likelihood is that if you’re considering a career as a carer, you’ll be an excellent communicator, patient, a great problem solver and physically fit. But just how does one go about making a career change to become a carer? There are many different job opportunities within social care, from working in a residential home, to providing assistance within a person’s own home. If time allows, and if you have no former experience of working as a carer in any capacity, you might find that Voluntary Work in your local community is a great way to find out whether you’re right for the job. It’s best to contact a specific voluntary group, many of which can be found in the Yellow Pages. Your local library will also most likely have information about your local branches of community social care voluntary groups. Be aware, too, that each prospective carer is screened through the Criminal Records Bureau before they begin their employment. To be a carer you must have a good knowledge of the social welfare system, as well as an understanding of the law. However, this knowledge can be acquired on the job as, in most cases, you won’t actually need any formal qualifications to start working as a carer. This means that a career as a carer is open to many people who have previously not had the appropriate qualifications for a job, or have been out of employment for long periods of time. Experience counts for a lot, and there are many examples of experience being used in place of formal qualifications to gain access to college or degree courses. You can also train and develop your skills on the job, as many schemes will allow for day release training courses, as well as part-time college courses. Part-time courses usually come in the form of foundation and induction training and are undertaken within at least the first 12 weeks of your employment. Induction training also opens up opportunities to start studying for further qualifications. Full-time courses result in qualifications such as a National Vocational Qualification (NVQ) in Care and Management or Health and Social Care, or a relevant degree. NVQs are not exam-based qualifications – you will be assessed on different aspects of your day-to-day work. It’s also worth noting that in some circumstances, there is also the chance to support any full-time training courses with a payable allowance. Those that consider a career change into the caring profession tend to be more mature, and this usually means that they also have added responsibilities, such as dependent family and many outgoing expenses like mortgage payments. For this reason, to enable more mature students to study towards a degree qualification, there are now annual bursaries available for those who may otherwise struggle to Fund their education. For information and advice on alternative caring careers, visit our Carers and Education section of this site. I want to change career and go into care work, but don't know were to start, as I have no degree or training, but do have some experience knowledge, as my 12year old boy has autism asperges. And I want a job which will be more rewarding for myself. That's lovely, we hope the above article helps you. Hi I'm currently working as a carer, I would like to be a nurse. Could I do that through the company I work for- I mean if they arrange my NVQ'S till level 3? ( as payments, booking and such) What else I will be expected to complete? You need to speak to NHS trust or Primary Care Trust about this as there are various ways you can set this up. I am currently registered as a general nurse RN2. I don't want to revalidate with the NMC as I am close to retirement age. I am considering working as a home carer so I can continue into retirement. Do I have to register with the CQC or other organisation to work as a paid carer? I am currently registered as a general nurse RN2.I don't want to revalidate with the NMC as I am close to retirementage.I am considering working as a home carer so I can continue into retirement.Do I have to register with the CQC or other organisation to work as a paid carer? I'm almost 25 and looking to care for my friend with terminal cancer, she currently has a carer but she is not doing what needs to be done or supporting her correctly. Can I become her carer instead? Speak to her current care providers and the local authority etc - anyone can be a carer but if it's a paid for service, you may need an NVQ etc. I'm a 53 year old wanting a career change and to work as a carer I would be great for post. I'm 21 years old and not working and don't have any qualifications. And I was just wondering if I could become a carer and if so how do I start? You can try getting in touch with care organisations in your area...the council is a good place to start. There are college courses in various aspects of the care sector such as health & social care qualifications that you could look at too. I'm 21 years old and not working and don't have any qualifications... And I was just wondering if I could become a carer and if so how do I start? I've cared for my mum since I was little and I am now 18 years old I was just wondering if you had to have qualification to be a mental health nurse, or there would be places taking on that I could train on the job. To do nursing, you will need to undertake a mental health nursing degree. The entry requirements are usually a minimum of five GCSEs at grade Cplus two A-levels or equivalent level 3 qualifications. If this is not something you want to do, you could consider a mental health support worker role. Take a look at the Skills for Care website for further information. Hi, Am enquiring about working in the UK as a carer and was wondering whether there is a statutory level of training required as there is here.Here we require a QQI level 5 in Healthcare or a similar Major Award.Do you require the same qualification to work in the UK as a carer? I am a 59 year old lady residing in SA but would like to become a carer in the UK. Please advise if you run any training courses and the procedure involved.Thank you. We only provide advice, we do not run any courses. You should try colleges/caring organisations in the area you're looking at to find out where/what the opportunities are. There is list of some organisations and charities in the care sector here. Hi, I'm 17 looking to become a carer.I've ways been interested in this career as I've always been brought up in a respectful,kind,thoughtful way that always thinks of others before yourself attitude.I have plenty of experience with caring for others, such as for my grandad,nan and different family members. I love helping people out and making sure they are settled and happy. I took health and social care in school and got a distinction in it. One of my favourite lessons. I don't have any other qualifications as follows too become a carer. Where do I go from here too learn and get a job in this chosen career? Ask around local caring organisations. If there are any openings you stand a good chance with your attitude and your health & social care qualification. Your local council will have a list of care homes if you cannot find any on the Internet - they may also be able to tell you about home care jobs in your area to (where you care for people in their own homes). I am a 59 year old lady residing in SA but would like to become a carer in the UK.Please advise if you run any training courses and the procedure involved. Thank you. I've been interested in a career in care for quite some time but have never known the right way to go about it or where to even begin?! I am currently working in a call centre so the only real experience I have is caring for my younger siblings and other family members. Can anybody give me any information as to how I would go about it? Thank you!! Hi , I am 49 years old , and thinking of starting a career in care. Is their a call for men , or is the majority female. Any advise would be appreciated. Thank you. There is a huge demand for more people to enter the caring profession. A report by the charity Anchor called for more men in the caring sector and found that older people could also play a role. Hi , I am 49 years old , and thinking of starting a career in care . Is their a call for men , or is the majority female . Any advise would be appreciated . Thank you . I am a stay at home mum for many years now. 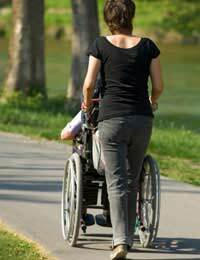 I want to become a carer what qualifications do I need and do I need to do courses? My youngest child is 4 so I would need the work to fit round his needs. Any advice much appreciated. You can take courses relating to health and social care, ask at your local college. Some caring organisations will however, offer training on the job, or the chance to study part time whilst working so it would also be worth asking your local council/social services and any private care homes or organisations in your area. I am a stay at home mum for many years now. I want to become a carer what qualifications do I need and do I need to do courses?My youngest child is 4 so I would need the work to fit round his needs. Any advice much appreciated.